The view from where we ate at Buzzards Roost. Well usually. 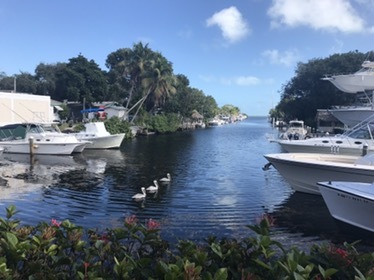 Generally we sit waterside with this great view of the marina but it was Sunday brunch time and so busy we couldn’t see it from our table. HOWEVER I did get up and take a this photo of it. It’s so lovely a picture does not do it justice. The tropical breezes when fleeing south are always a treat. 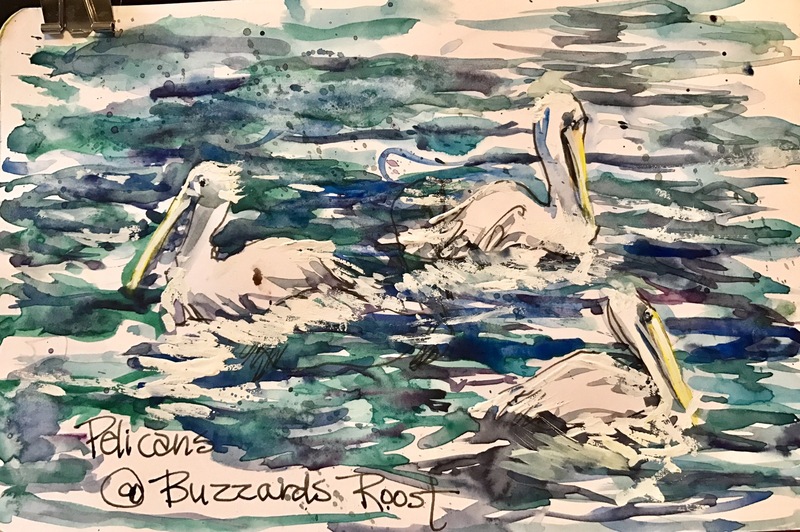 I did draw the pelicans which I had not seen in all my previous trips to Buzzards Roost. The pelicans were actually lined up when I drew them but I turned one around. Thought three in a line would be boring. 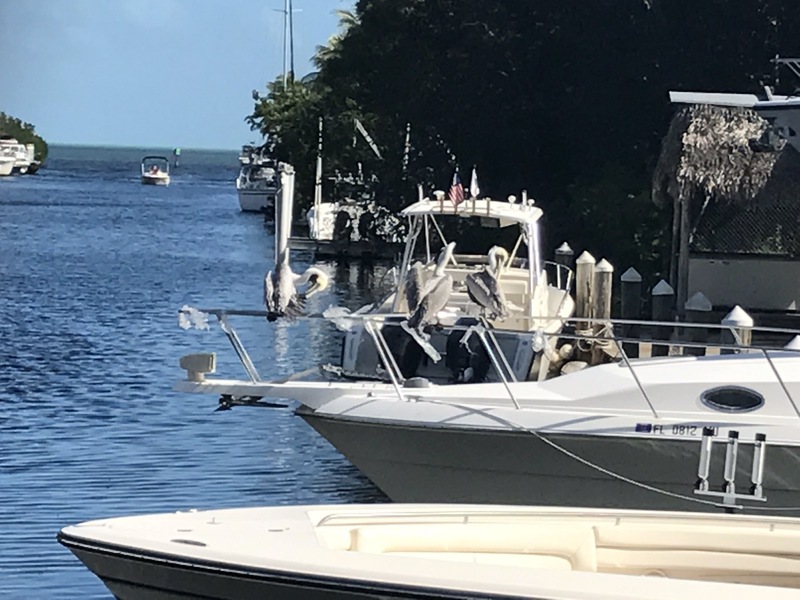 Hard to see but the pelicans are lined up on the boat rails. Colors used marine blue, ultramarine blue, indigo, cerulean, Winsor yellow, purple. I seem to use a lot of purple as a dark lately. Some white gouache because I forgot to leave their reflection in the water. A lot of splattering with soupy ultramarine blue and indigo.